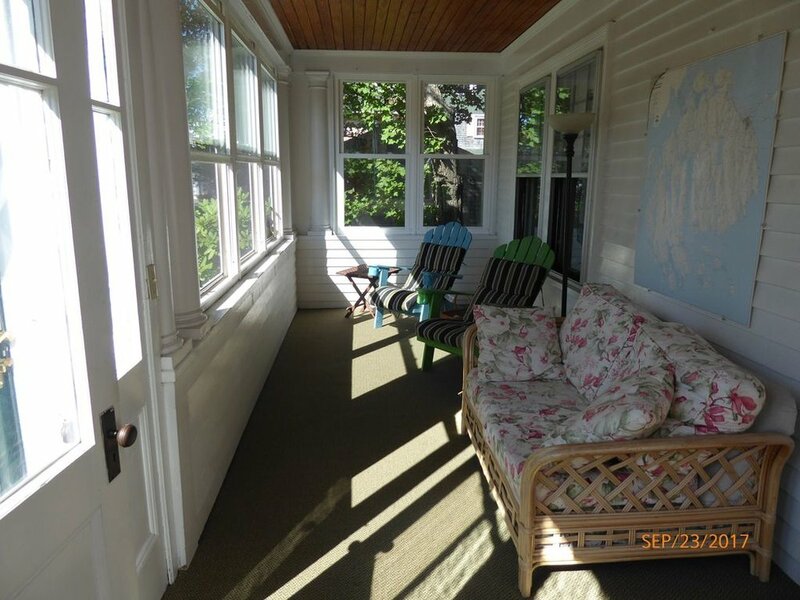 Victorian vacation home in the heart of Bar Harbor with a screen porch and roof deck. Enjoy your Acadia National Park vacation at The Holland House located on a quiet street in downtown Bar Harbor! The Holland House is located in Bar Harbor's historic district. 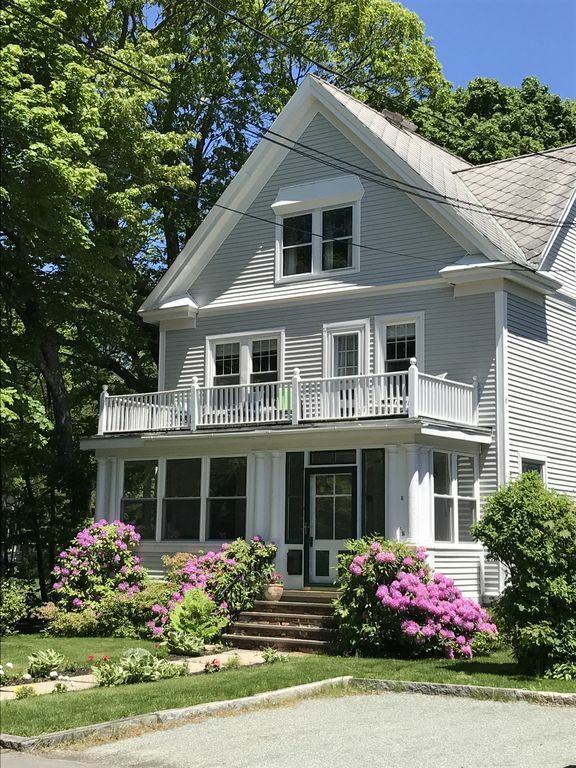 Just steps from the ocean and walking distance to all shops and restaurants, this convenient location puts you in the center of all Mount Desert Island has to offer for the perfect vacation! 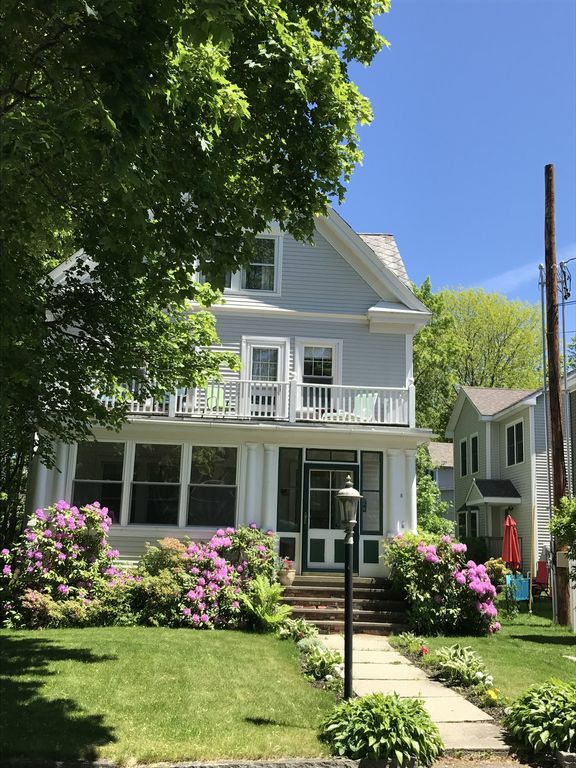 Holland House is a charming older Victorian with a screened porch, upper balcony deck, living room with fireplace, dining room, large kitchen, full bath upstairs and half bath downstairs. The queen bed in the master bedroom sits in front of a lovely bay window that looks toward the ocean. Also on the 2nd floor, are two more bedrooms one with a queen bed and one with a twin. A 4th twin bed is located in a small common area that opens out to the upper deck. Our guests love this prime Bar Harbor location! Pets are welcome at The Holland House. Screened porch, full kitchen, cookware, dishware, utensils, linens, dishwasher, microwave, toaster, cable, Internet, Blue ray player, laundry, iron, fireplace, gas grill and off street parking. This house was in a great location. Walk to stores, cafes, downtown, park, shore trail. 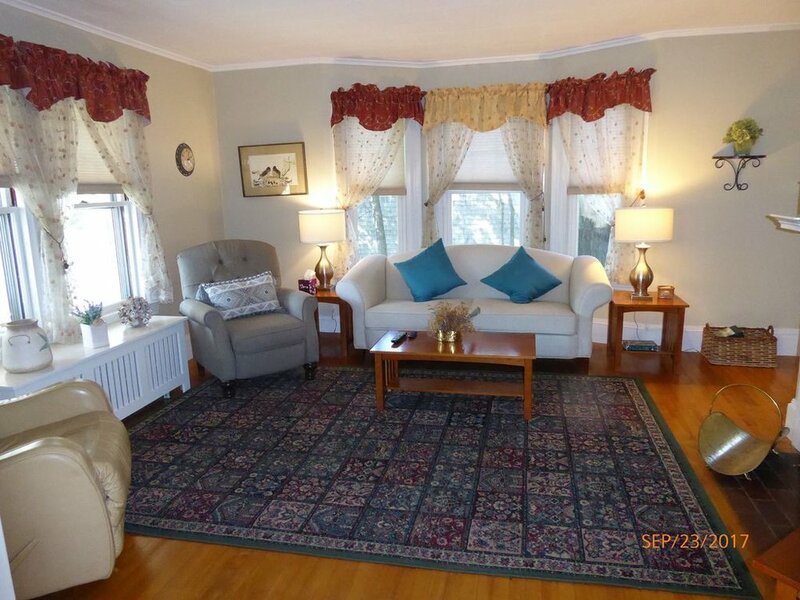 Large well equipped kitchen, washer/dryer, fireplace. Well maintained and the neighbor was friendly too! It felt like home, very clean, nicely decorated too. Don't hesitate to book, you will not be disappointed. Owner got back to us quickly and booking was a breeze." "Cozy, warm and very clean! My family and I came up during New Years to climb Cadillac Mtn. The house was so cozy and well prepared. The owners were available for questions before and it was one of our best experiences renting home." "Can't wait to come back! I have stayed here twice and can't wait to come back. West view cottage is a modern, comfortable house. Private. Conveniently located within walking distance into the village. Cable and WiFi were great. All amenities I could possibly want. Owners are friendly and accommodating. Eating lobster from the Trenton Bridge Lobster Pound was our daily treat. : ) Would recommend this place with 5 stars!"